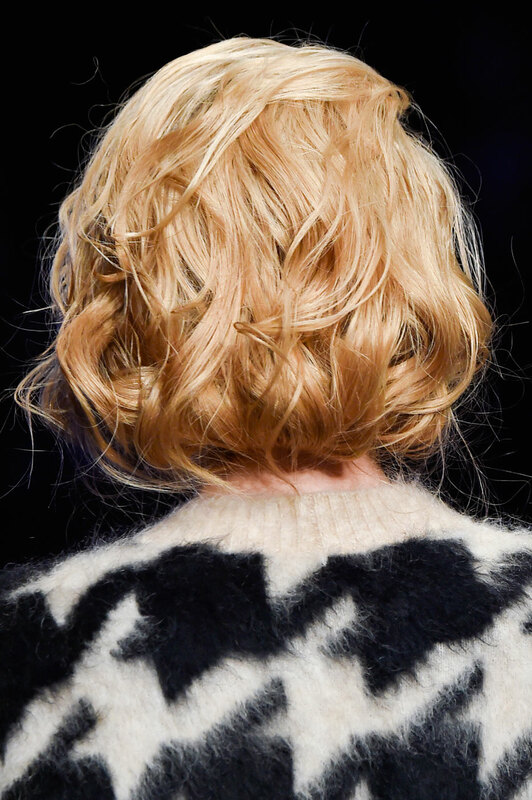 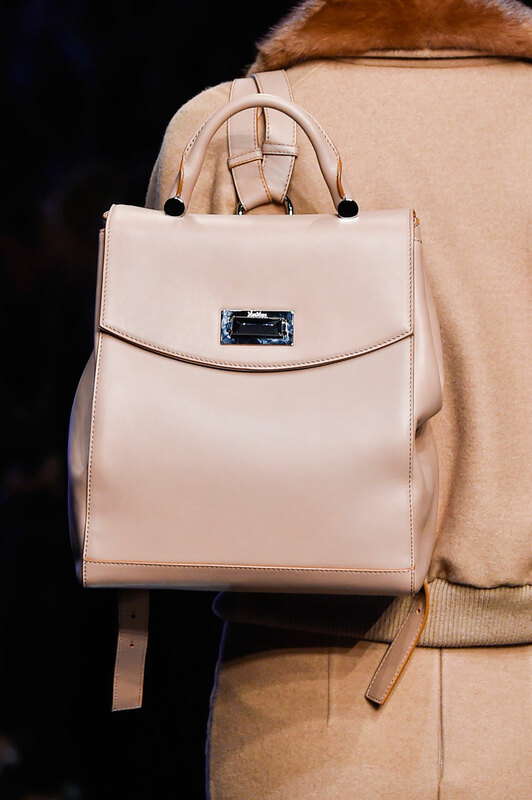 Max Mara Women Autumn-Winter 2015 – This season Max Mara have added more subtle, muted tones of blues, camel, nudes and creams into their autumn winter collection. 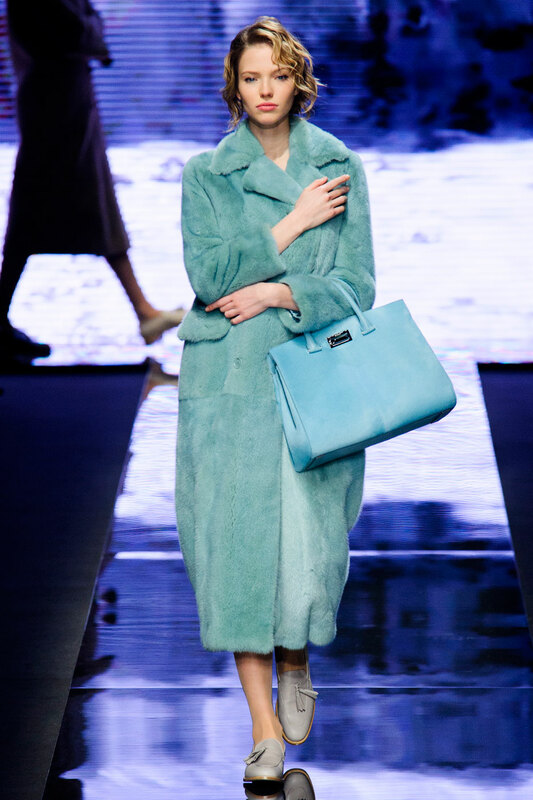 The pastel colours are a definite contrast to what we’ve seen so far in Milan, creating a more elegant, lighter atmosphere. 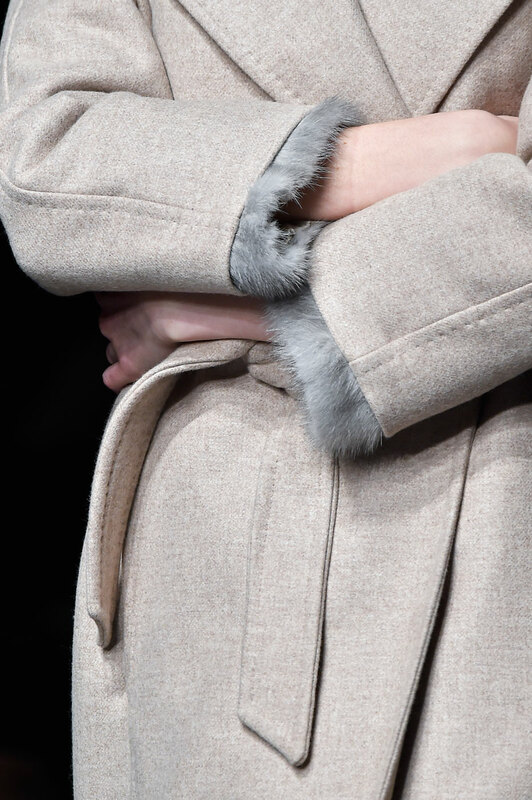 The gorgeous cosy cocoon coats, (although oversized and masculine) are wrapped loosely around bare bodies, adding a more delicate, feminine touch. 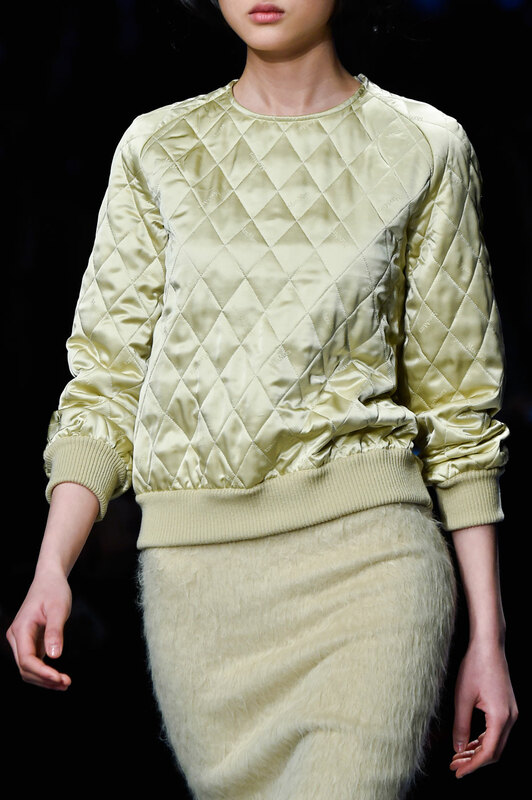 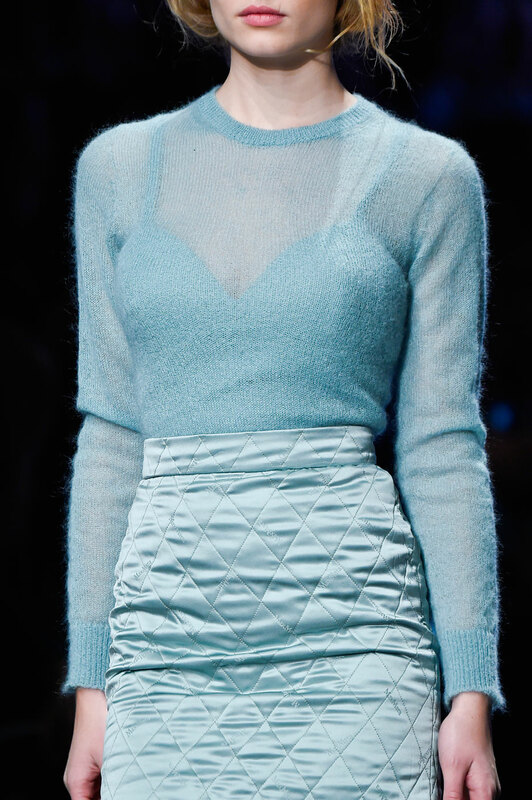 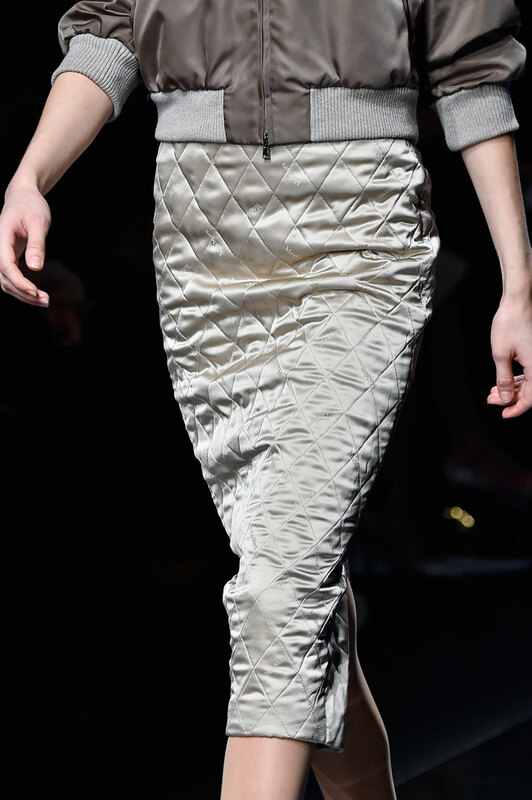 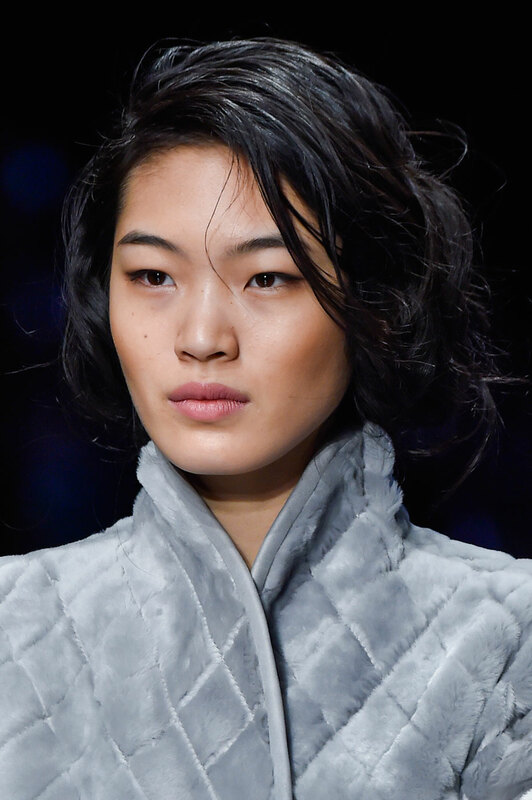 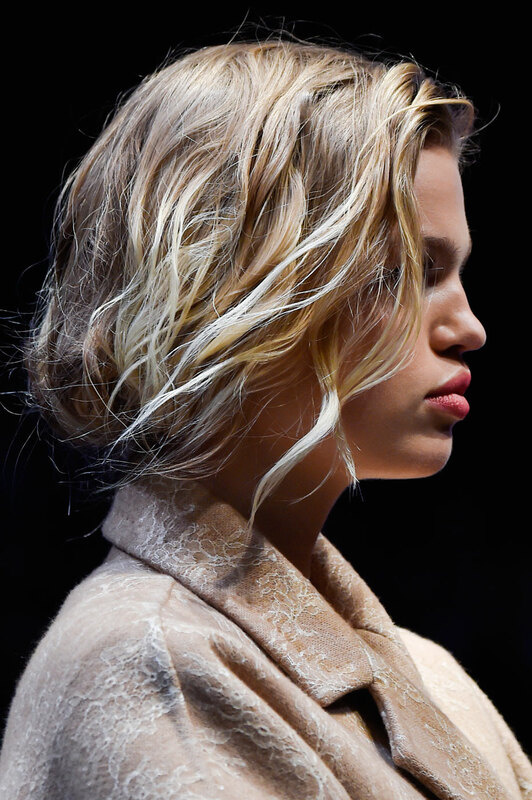 The quilted silks are rich in texture, and create a structured reminder of the colder seasons ahead. 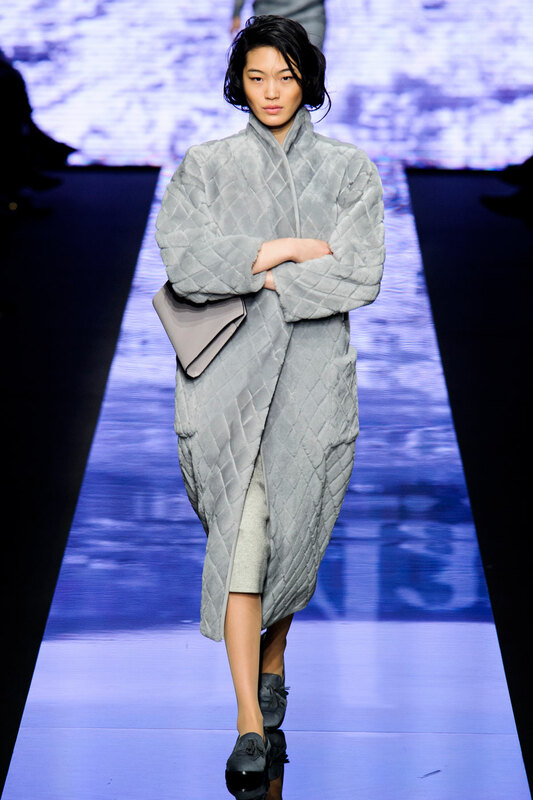 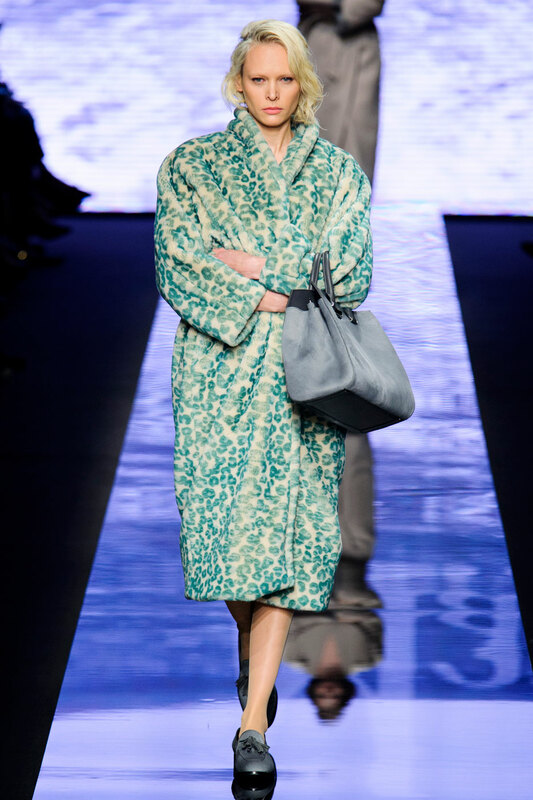 The leopard inspired printed dressing gown and pastel furs are features of this also. 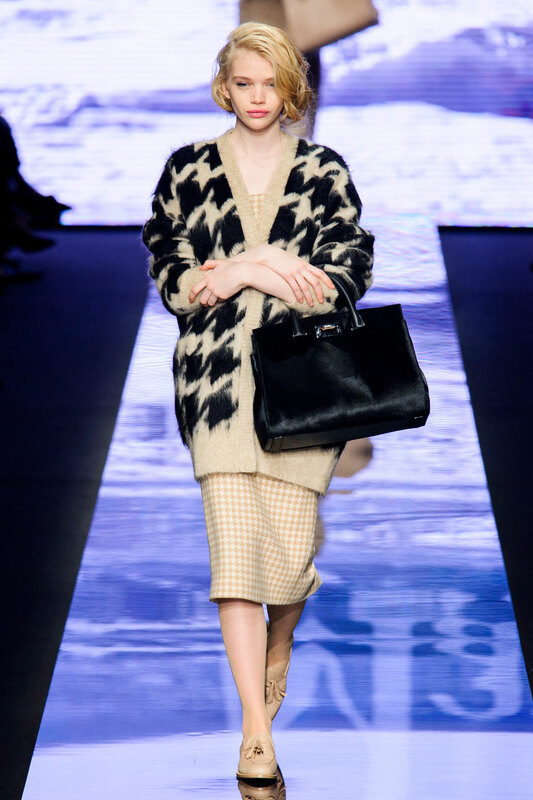 The accessories and footwear equally compliment and complete their looks. 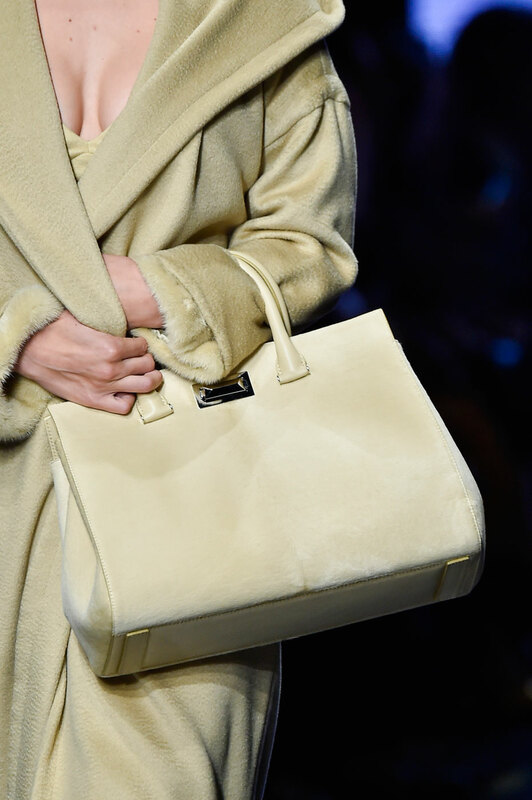 The classic tassel loafers along with suede simplistic bags are spread across a muted colour palette, identical to the rest of the look. 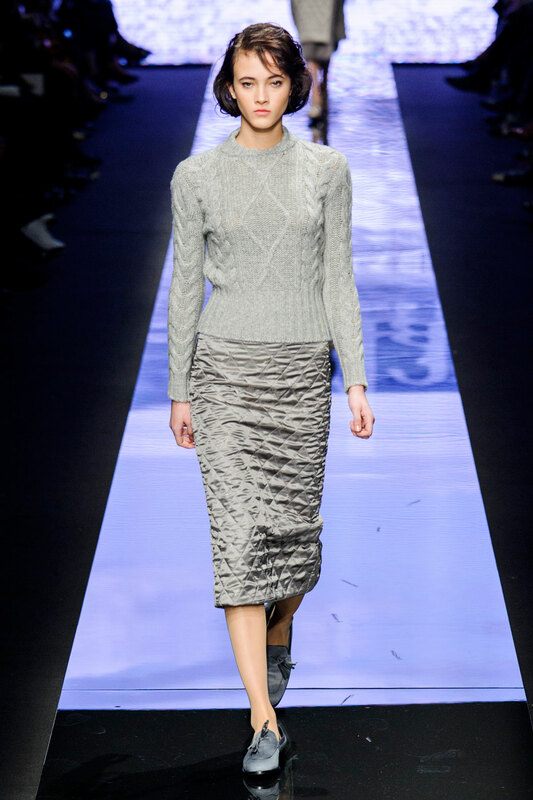 Alpaca, cashmere and tweed knits enrich the subtle tones, adding expression to a collection created from a simplistic yet luxurious perspective. 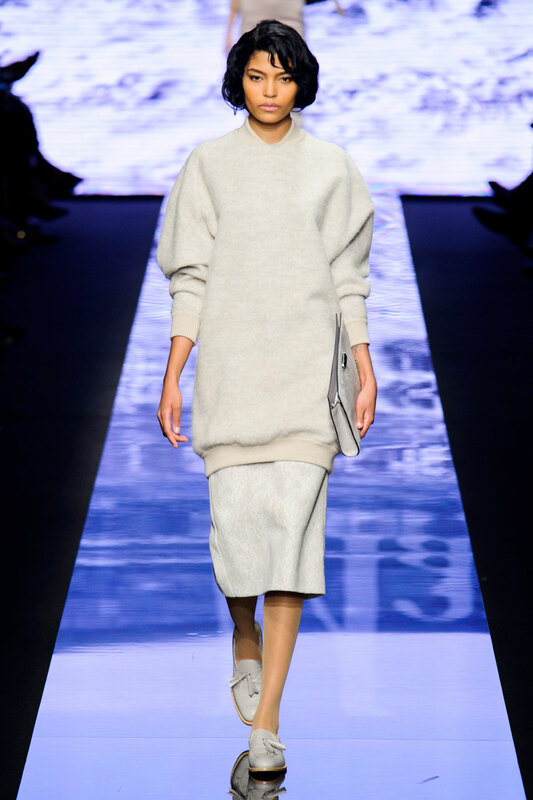 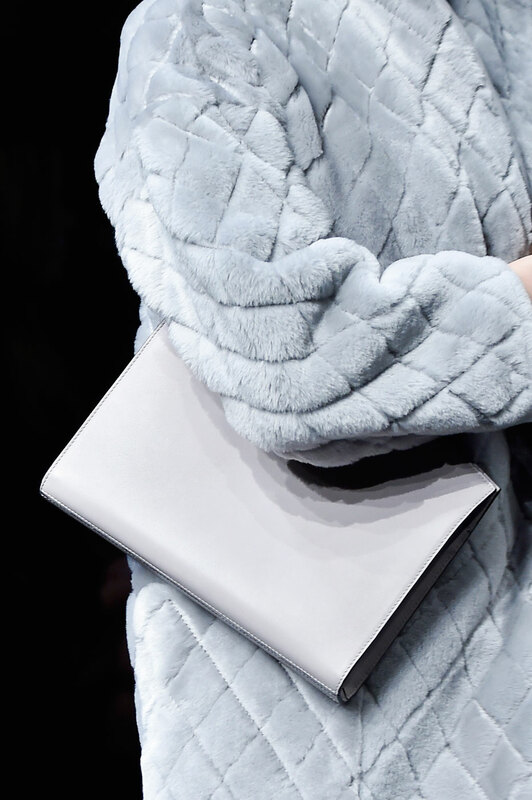 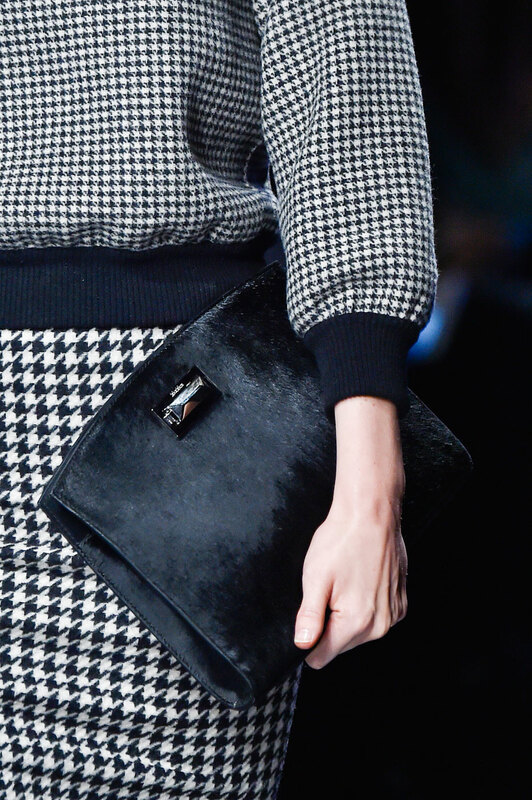 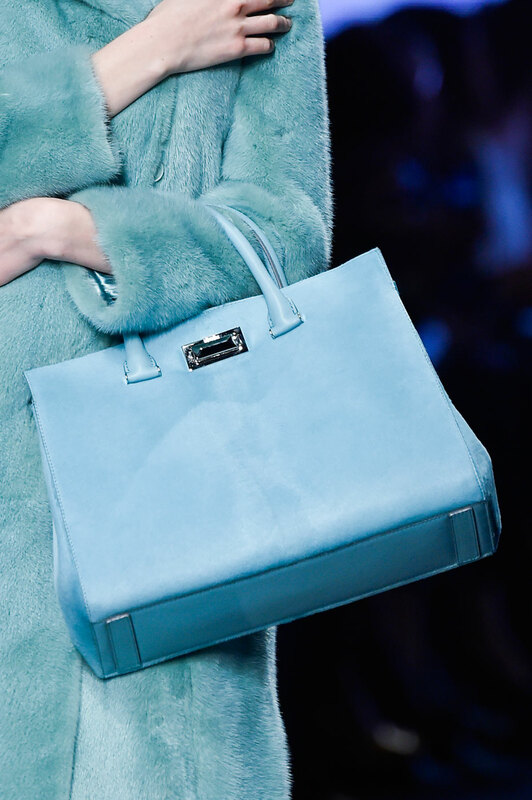 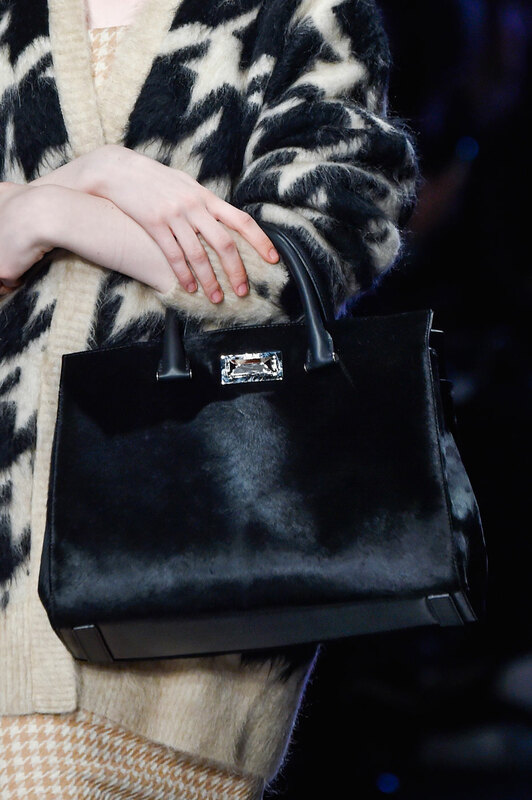 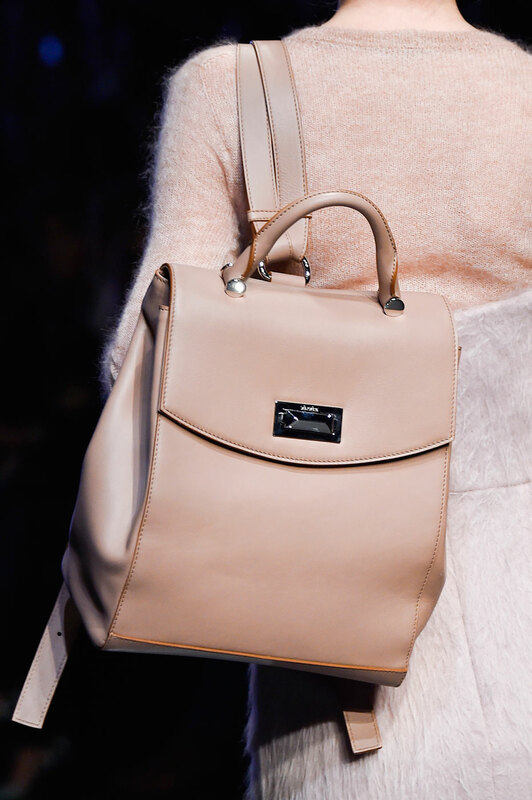 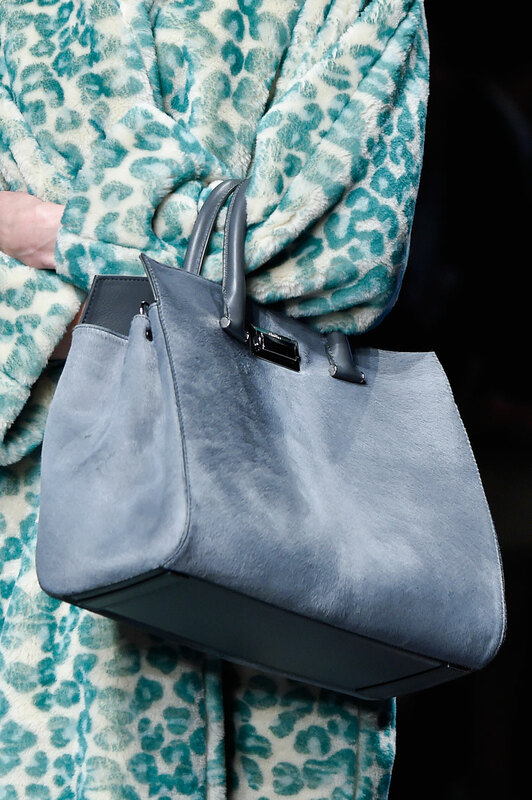 Can you please share name of the Blue Bag from Max Mara a w 15 collection?